Smaller, regional venues and studios are the lifeblood of the music industry, and it's never been more important to support live music - in all its forms - and local promoters. Nottingham has a particularly vibrant scene, and Drowned In Sound is extremely proud to partner with Gigantic Tickets and Alchemistic Records for The Moonshine Sessions, a series of candid interviews and performances with artists currently on tour and passing through the city. Gigantic are an independent ticket agency working with a huge range of artists, promoters, and venues selling tickets up and down the country. Partnering with Alchemistic, who themselves are a collective of musicians, producers, videographers, and photographers, has bought them closer together through a shared love of live music. The sessions are filmed at Nottingham’s state of the art Rofl studios. 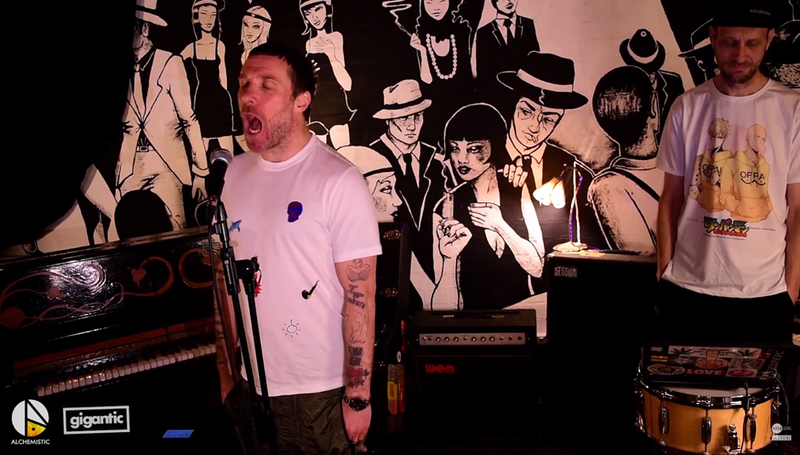 For the third Moonshine Session we had the clattering bards of the underclass Sleaford Mods in the studio spitting their acerbic and biting social commentary. Alongside 'Stick In A Five And Go', the lead single from last year's self-titled EP, they played a typically fiery 'Bang Someone Out'. The band also sat down for a wide-ranging chat with our very own Dom Gourlay, which you can view alongside their performances below. Enjoy. The Moonshine Sessions are a joint venture between the Nottingham based ticketing agency Gigantic and Alchemistic Records, a collective of musicians, producers, videographers and photographers whose shared love of music has bought them together. Select artists have been invited to take part in The Moonshine Sessions working with the in-house team at Nottingham's Rofl studio to create high-quality audio and video content.